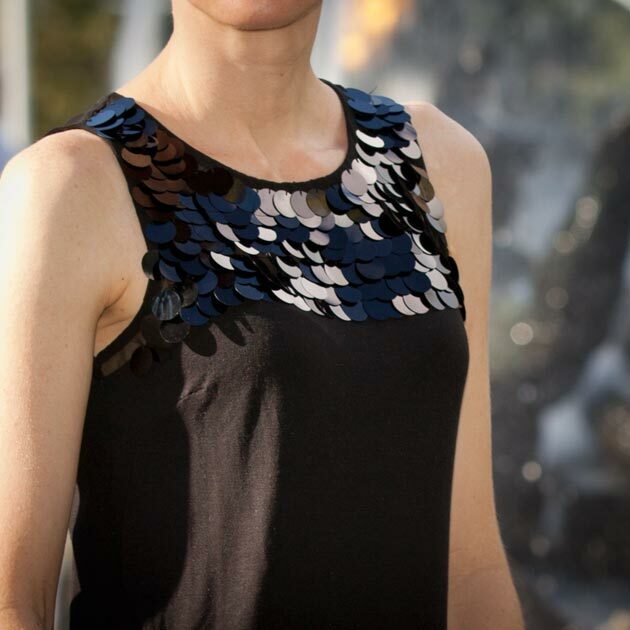 If you havent already cut the collar off, you will need to cut your collar off of your shirt. I cut mine off just below the collar band. Take your trim and pin it around your collar. 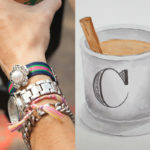 TIP: I recommend you wrap your trim around the edges at least and inch or more. This way if your collar falls open youll still see the trim. 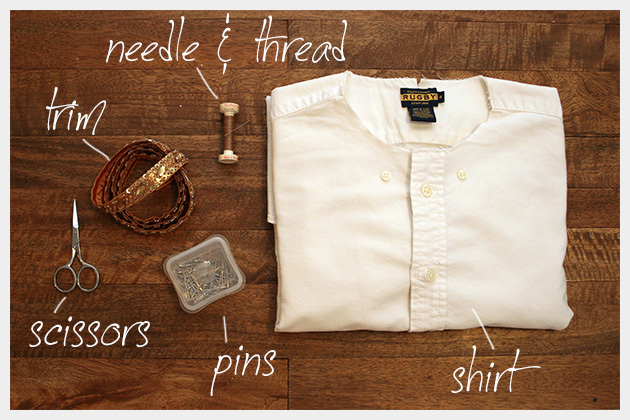 If your shirt has collar buttons, be sure to carefully cut them off. 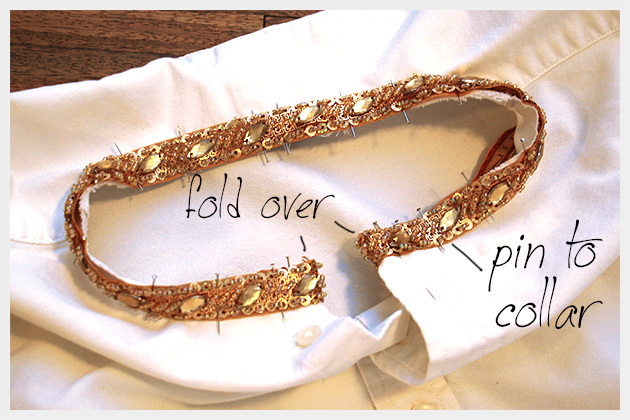 Once your collar is pinned and you like your placement, take your needle and thread and sew your trim to your shirt. 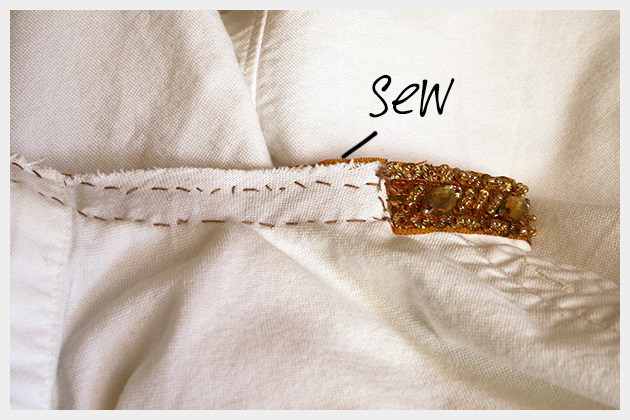 Your trim will really determine how you sew it to your shirt. 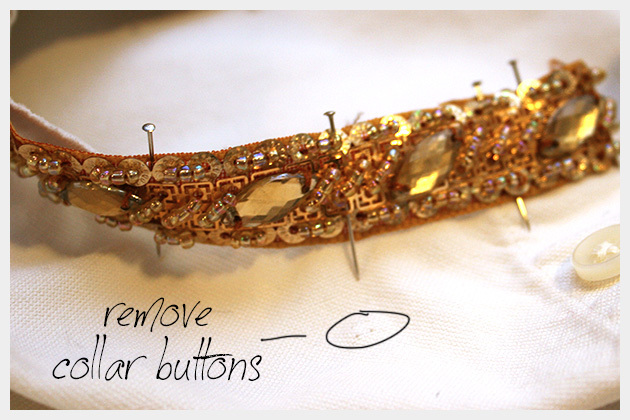 My trim has a lot of beads, sequins and some large stones in the middle, so I was able to sew through the sequins along the edges. Here you can see my sloppy stitches. I recommend sewing your trim by hand instead of with a machine, because most trims with any sort of embellishment will really get ruined by machine stitches going through them. It also doesnt take very long to hand stitch it either, its worth it. 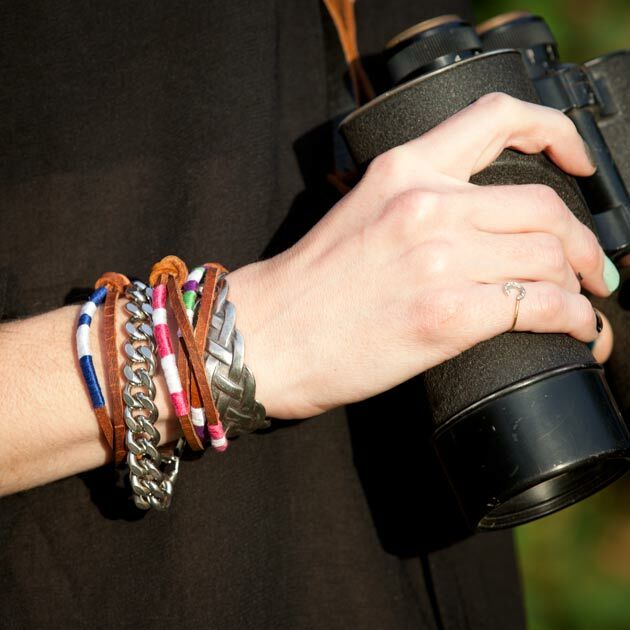 This is one of those projects that is a great way to use up your leftover supplies from another project. 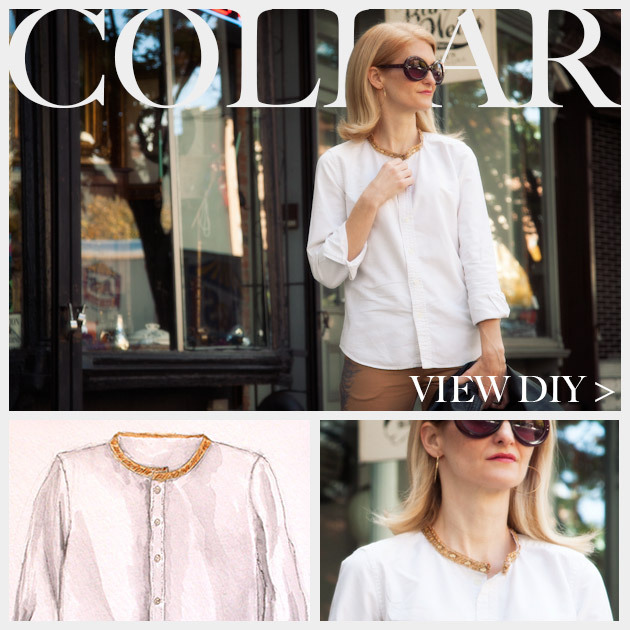 When I made this Beaded Collar Necklace DIY I just couldnt bring my self to throw away the rest of the shirt. (Although that couldve just been my crafty hoarding tendency.) I was really happy when I found this trim on one of my many supply runs and knew it would be the perfect trim for this shirt. 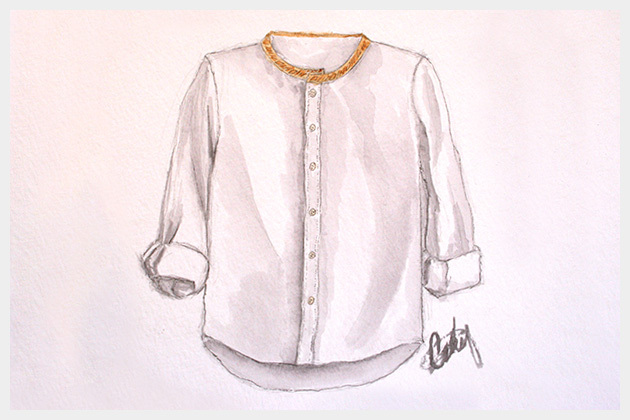 This is a really quick DIY and a great way to take a plain shirt and add a little sparkle. Its also like adding built in necklace! Let me know how your shirt turns out. LOVELY!!!! thank you very much!! all your ideas are beautiful and very originals!! (sorry about my english. i am spanish and i live in Paris and my mind is located in learn french).